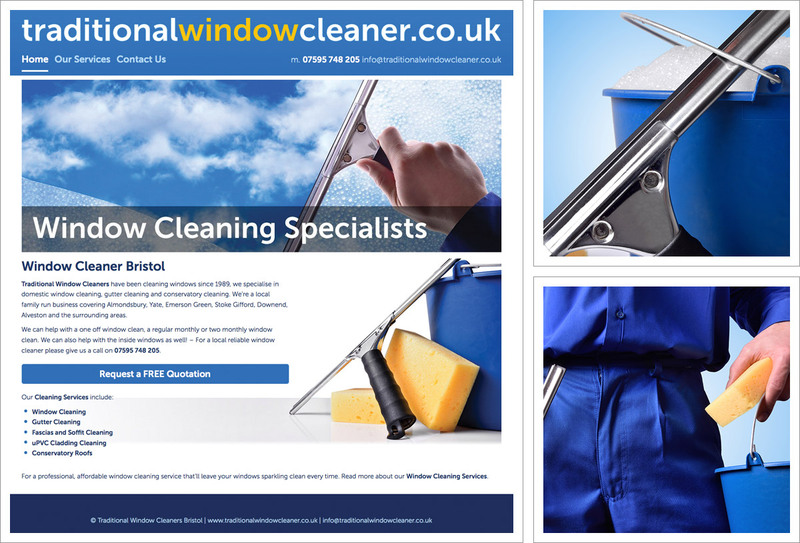 A responsive / mobile friendly website for Bristol based business owner and Traditional Window Cleaner. A small yet expandable website of 3 pages, Homepage, Services and Contact Us. We helped register the domain, select and license a series of professional stock images for use on the site and created a theme and logo / branding to complement them. The website layout will adjust according to the type of device it is being viewed from, eg. phone, tablet, desktop PC. Basic on-page SEO for the window cleaning services provided in the Bristol area.